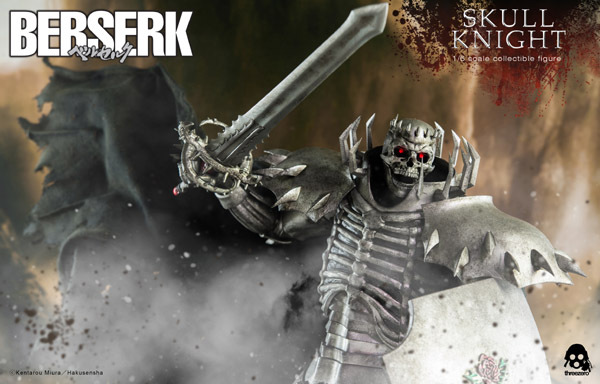 Berserk Skull Knight stands at 14inches/35.5 cm tall, features highly detailed and fully articulated armor and LED light-up eyes (batteries not included). 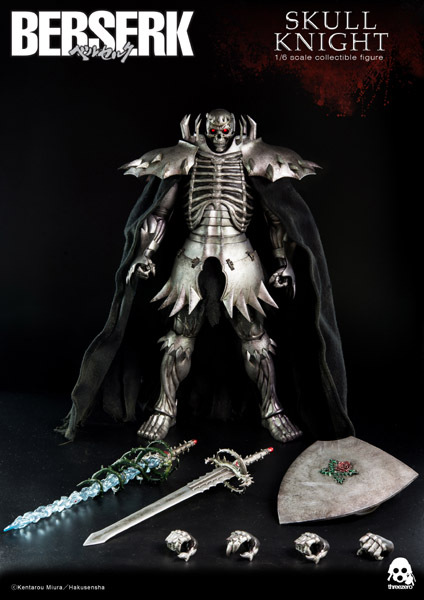 The skull armor features a realistic metallic paint application with a black wired cape. 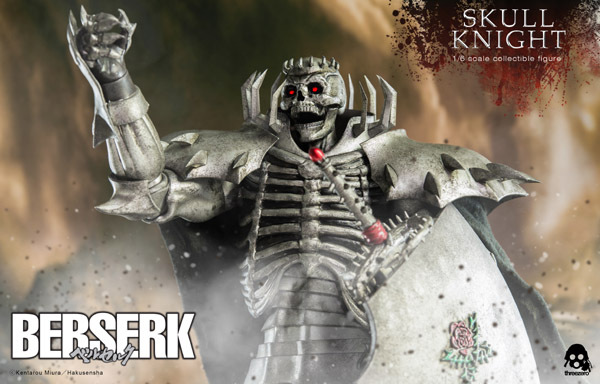 Accessories include the Skull Knight’s shield with rose detail, the Sword of Thorns, and six exchangeable hands: 1 pair of fists, and 3 gripped hands, and 1 open palm clawed hand. 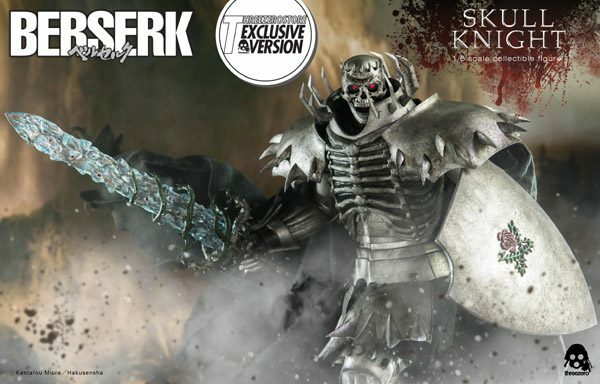 1/6th scale Berserk Skull Knight collectible figure will be offered for pre-order at threezerostore.com for a limited time starting from September 12th 9:00AM Hong Kong time. 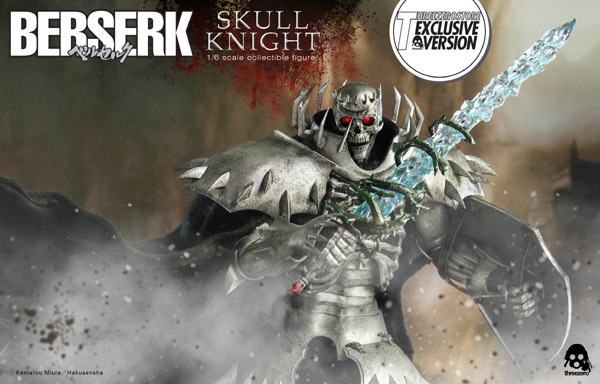 Berserk Skull Knight price at www.threezerostore.com is 260USD/2025HKD with worldwide shipping included in the price. 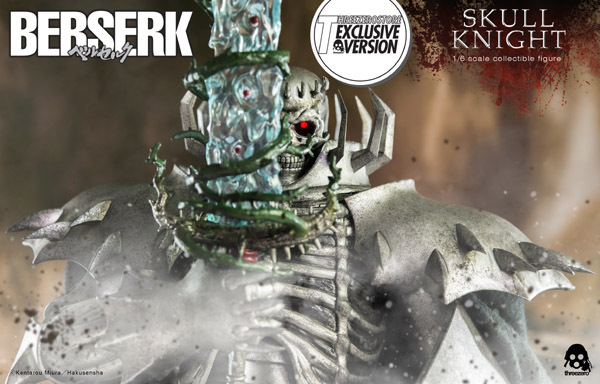 Berserk Skull Knight purchased at Threezero Store, will be coming with Sword of Actuation. 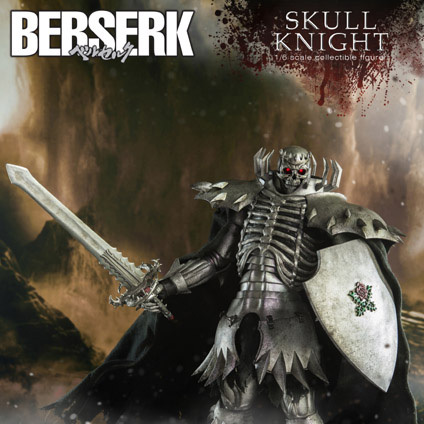 Sorry, only 1 time pre-order for this item. 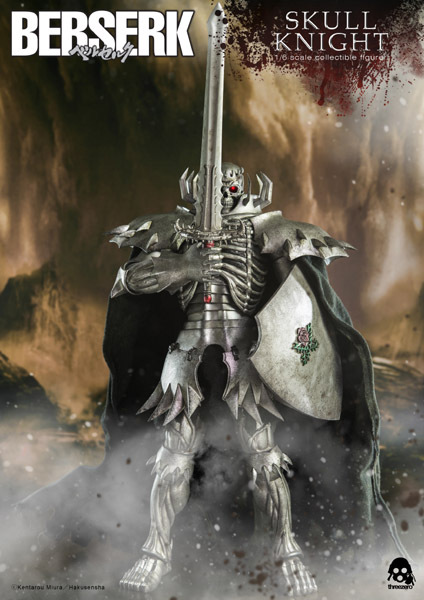 Please try to look up in market..
can someone tell me what size ag1 battery for eye? 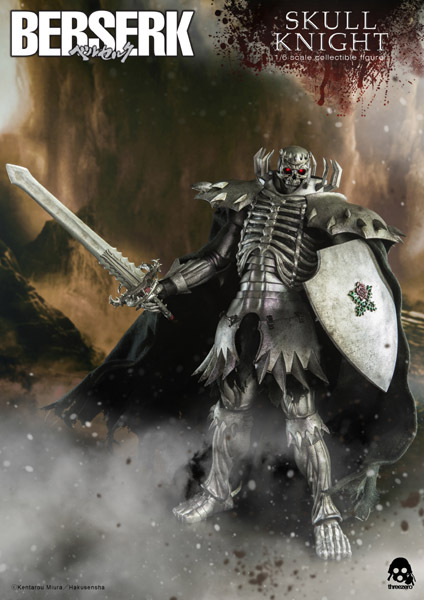 Please refer to shop with AG1 button Cell, they will suggest you.